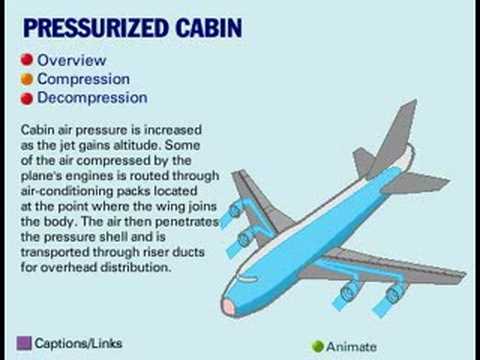 How and when is the cabin of a plane pressurized? Cabins are pressurized during flight, starting before the flight leaves the ground and ending once the flight lands. The pressurization is due to an airtight fuselage that is pressurized by bleed air, or air from the gas turbine engine, and is controlled by an environmental control system (ECS).